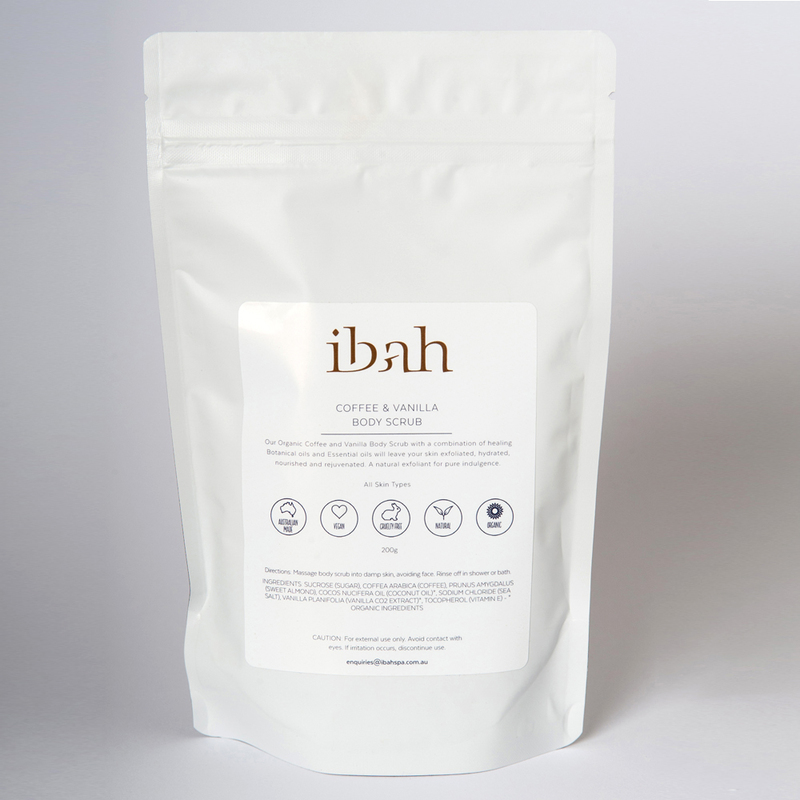 Our organic coffee and vanilla body scrub with a combination of healing botanical oils and essential oils will leave your skin exfoliated, hydreated, nourished and rejuvenated. A natural exfoliant for pure indulgence. All skin types except sensitive and in pregnancy. Directions: Massage body scrub into damp skin, avoiding face. Rinse off in shower or bath. Sucrose (Sugar), Coffea Arabica (Coffee), Prunus Amygdalus (Sweet Almond), Cocos Nucifera Oil (Coconut Oil)*, Sodium Chloride (Sea Salt), Vanilla Planifolia (Vanilla CO2 Extract)*, Tocopherol (Vitamin E) – *Organic Ingredients.